Spend time in the shade especially when the sun is at its strongest which is typically the middle of the day. Keep covered up. Wear appropriate clothing such as a wide-brimmed hat to protect your head, neck and ears and loose-fitted clothes (in a close weave material such as cotton) with sleeves to cover your arms and shoulders. A long skirt or trousers can protect your legs. Wear good quality sunglasses to protect your eyes. Sunglasses that have the CE Mark and European Standard EN 1836:2005 sticker on them or a UV 400 label or 100% UV protection written on the label are best. 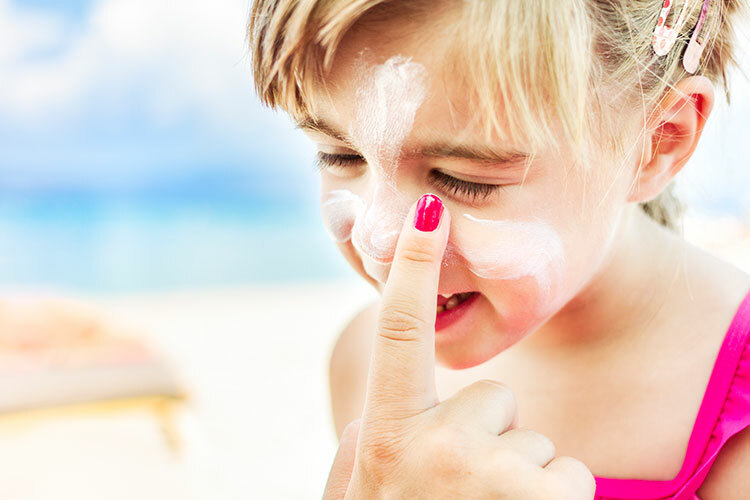 Use sunscreen with a SPF of at least 15 (a SPF of 30 is recommended by the British Association of Dermatologists) and which has at last four-star UVA protection which is often indicated by the letters UVA in a circle on the packaging. 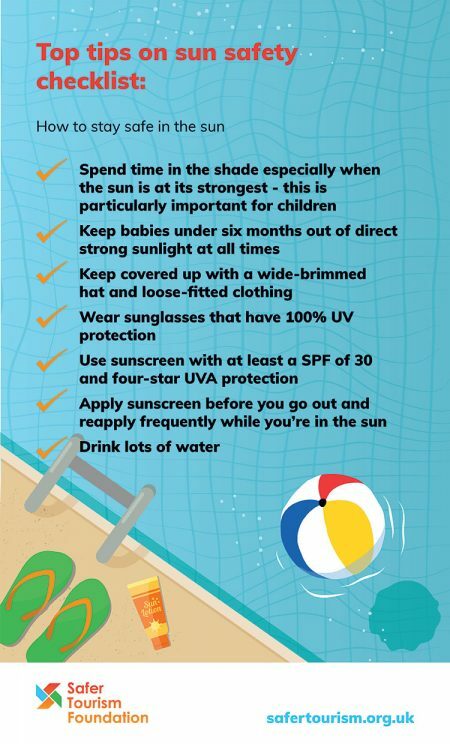 Apply sunscreen 30 minutes before going out and then again immediately before leaving. Re-apply frequently and generously throughout the day especially after swimming. For more on sun safety, holidays in the sun and holidays in the tropics see our guides.